Earlier on MyBloggerLab, we discussed How to Embed Google+ status updates in Blogger posts. Soon after it, Facebook made their beta post embedding feature available for public users, which allows users to embed Facebook Status updates publicly anywhere on the web. This feature might be a handy one if you want to include an authentic information from any of the verified Facebook Page or Profile. 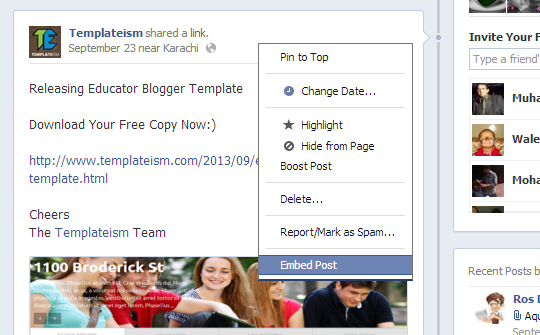 In this article, we will show you How to Embed Facebook Status Updates in Blogger? You can embed any of public Facebook Status updates from profiles or pages. To identify whether that the posts are public, you have to look for a globe sign attached right next to the date on which the status was published. 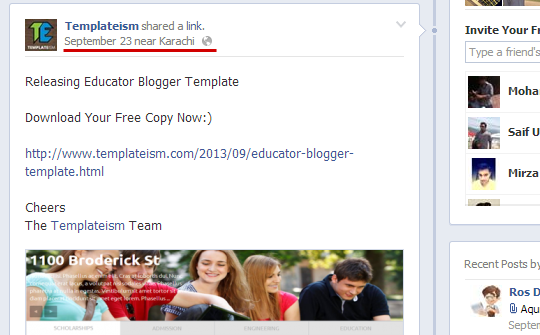 For example, Check MyBloggerLab Facebook page and you will see a globe sign attached as it can be seen below. 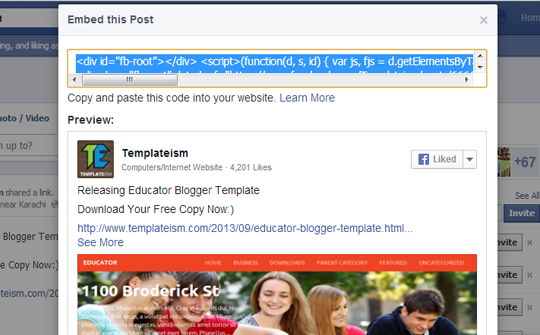 How to Embed Facebook Status Updates in Blogger? The first thing you need to do is to look for a public Facebook Status update that you would like to embed on your blogger site. The status update can be either of yours or any other. After selecting a post, you will able to see an “arrow” indicating downwards located on the top right corner. On pressing that “arrow” a drop menu will appear consisting on an option called “Embed post”, just select it and proceed to the next step. Now you the HTML Code present at the top. You can paste it anywhere you want to show the Facebook Status update. However, to display them in your posts go to blogger.com >> Add a new Post >> Revert to Edit HTML Tab >> Paste the HTML Code in the text area. Once everything is done publish the post. Congratulations: You have successfully embedded Facebook Status update in Blogger. Now go and check your post to see if its working perfectly. It is an interactive status update, so you can directly comment, reply or like the status straight from the place you have embedded the status. 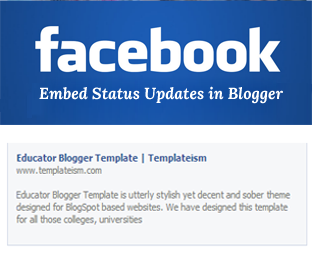 We hope this tutorial helps you in learned how to embed Facebook Status update in Blogger. Let us know your thoughts about this new feature. If you like this tutorial, then make it go viral by sharing it with your friends on Facebook. your site is very 'contentful'. I have learnt alot here. Thanks for this tutorial. Few days back i was search same thing on google but unfortunately nothing found. This really help me alot.